We know more than ever about the family meal and why it matters; according to the Web of Science, the average number of journal publications on family meals increased from up to maybe 8 per year between 1970 and 1995 to, on average, 45 publications per year between 2010 and 2015. 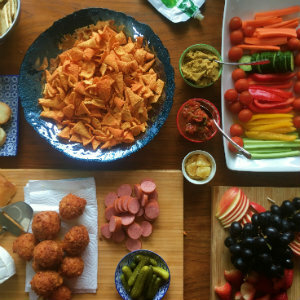 A 2018 review on these studies in the journal Obesity Review found that that frequent family meals are associated with better diet quality, higher consumption of healthy foods and lower consumption of unhealthy foods; it also speculated that regular family meals might be a manifestation of a positive family environment, and therefore a predictor of better health in children. Like, we know. But. It is hard feeding people every day, even when you like to cook, even when you like the people. By Friday, I am often more a shell of a human being than an actual functioning adult; last week, without thinking about it, I had unzipped my pants before I even unlocked our apartment door. The family dinner is serious and important and I should be trying harder. But also the rules for family dinner were established fairly recently; only since the mid 19th century has it been an imperative. For most of the years between the earliest sit-down nuclear family dining room meals and today, the person preparing the meal wasn’t also the person commuting, enduring a lot of meetings that could have been emails, or parenting willful children according to 21st century guidelines which are, I think we can all agree, a bit much. Having it all is tough. Some days, I think you could have some of it back (I get to choose what, though, and I will not accept more housework or child-rearing). But, I mean. We should be planning a little better and we should be getting more sleep and we should be prioritizing differently so that the burnout doesn’t always seem insurmountable by Friday morning. 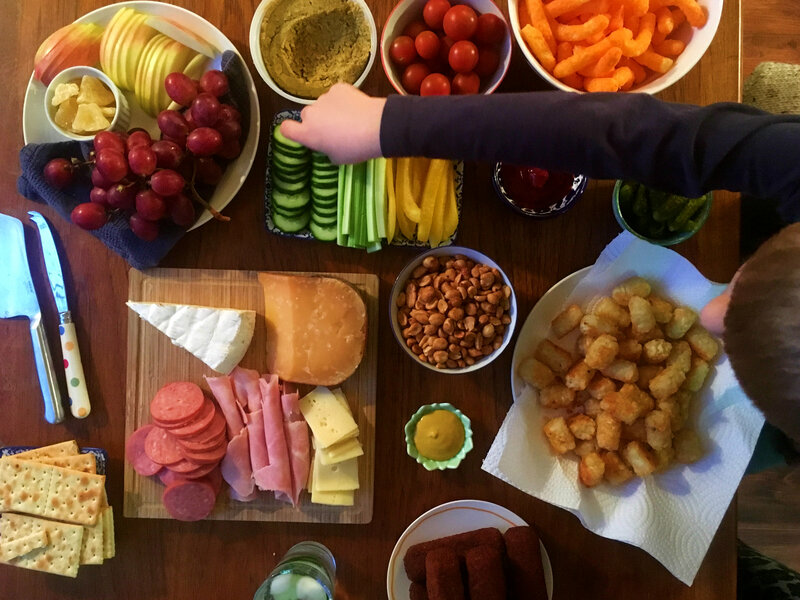 We definitely shouldn’t spread a picnic blanket on our bed or our living room floor and eat miscellaneous fridge scraps in front of an endless selection of Netflix nature shows. At first, Tasty Bites was the result of my general laziness. We had a lot of stuff in the fridge – a few last grapes, one apple, a couple of half bell peppers, a cucumber, a little hummus, cheese in various stages of decay, a package of smoked turkey from the deli, a can of herring, some pickled onions, and some saltines. I didn’t have to cook. Then it was boredom, and then it was fatigue, and then it was just that the little dude asked for it, then asked for it again, and then again until it was Friday and I had no reason to refuse his request. For me, Tasty Bites is kind of a personal low, literally the least I can do to get these people fed at the end of a long day. But for him, this six-year-old, Tasty Bites is the very best dinner there is. I like to think we are sharing something cultural with him when we eat like this. In England, you’d call it a Ploughman’s Lunch – some bread and butter, some cold meat and cheese, and some kind of pickle or chutney, and maybe a boiled egg. 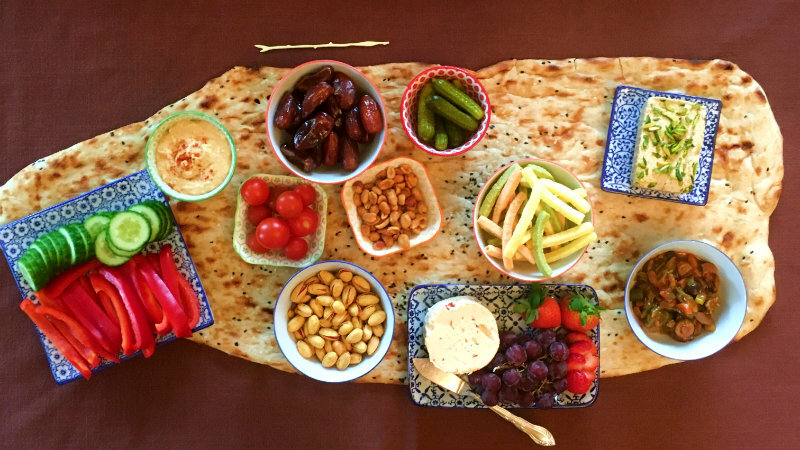 In Lebanon, you’d have Meze and pile a table with little dishes of hummus, olives, nuts, kafta, and fried cheese. In Germany, you’d have Abendbrot, with bread, butter, sausage, vegetables, some cheese and mustard, and a bit of beer or tea. 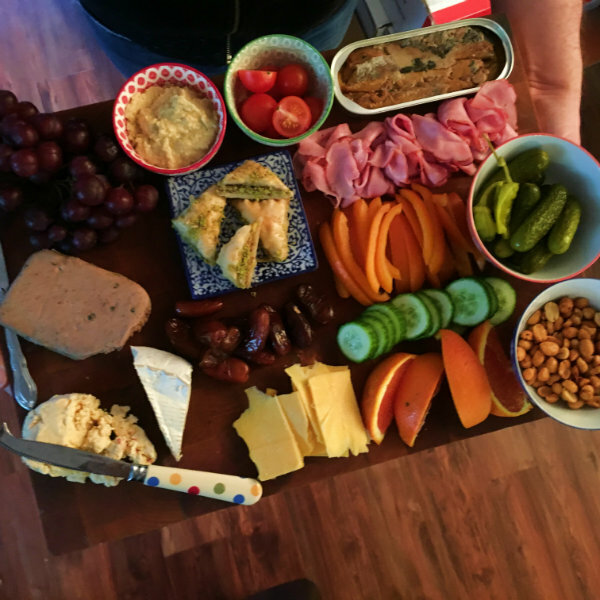 When we eat like this, I mention these things or tapas or dim sum or borrels or the many ways that people all over the world eat tasty bites, as much as a meal or snack as a fuel for conversation, or an excuse to get together. And despite my lack of effort, these meals do seem to fuel us; it’s on Tasty Bites evenings that we come together most easily. We don’t use forks, and half the time we don’t bother with plates either; just a couple of napkins to aid our grazing. We take turns choosing the music, and we talk. If it’s been a very long day, we put on a movie. There’s still conversation. The six-year-old never stops talking. “I love when we eat like this,” he says. And then he says all kinds of things, and he is funny and bright and a whole person, and we get to peek in at who he is becoming because for the moment we are not worried about his table manners or making sure he eats enough. Without the pressure of sitting still and a square meal on a plate in front of him he eats freely, trying everything. I don’t know exactly what we’re impressing on him when we eat like this, but if nothing else he’s learning that there’s more than one right way to be in the world, and that the rules are only rules if you insist on them. When things begin to feel like obligation (even little things, like dinner) it’s worth re-evaluating their value. When we become prescriptive about things, the fun sort of evaporates and then all we’re left with is another to-do on a list that never seems to get any shorter. The example we’re setting is “this is how it’s always done, so we should always do it this way;” that doesn’t feel right, and is not a lesson I would ever endorse. “Because this is the way we’ve always done it” is just an excuse for not thinking of something better. There’s a lot of information out there about how best to eat, how best to feed your children, and how best to cultivate an enriching atmosphere in which everyone feels nourished. And a lot of it is fine and good. And a lot of it you can ignore. The important thing is coming together, and we’d all be better off if a relaxing evening was our goal at least often enough that it’s something you genuinely look forward to.